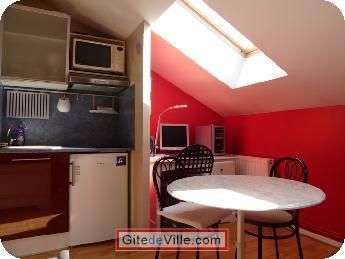 Self Catering Vacation Rental of 20 m² in Lyon for 3 peoples. 2 nuits : 70 Euros par nuit (si 1 ou 2 personnes) ou 80 Euros par nuit (si 3 personnes). 3 ou 4 nuits : 65 Euros par nuit (si 1 ou 2 personnes) ou 75 Euros par nuit (si 3 personnes). 5, 6 ou 7 nuits : 320 Euros (si 1 ou 2 personnes) ou 350 Euros (si 3 personnes). 2 ou 3 semaines : 290 Euros par semaine (si 1 ou 2 personnes). 4 à 7 semaines : 260 Euros par semaine (si 1 ou 2 personnes). 8 semaines minimum : 230 Euros par semaine (si 1 ou 2 personnes). 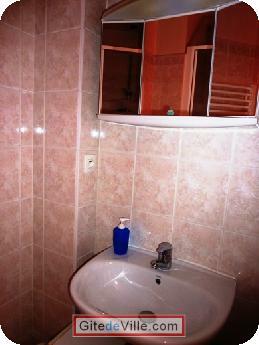 A 20 sq.m. furnished studio apartment. A flat rated 2 stars by the Tourism Ministry, in a luxury condominium. Living corner: bed (140*190), sofa (bedding 90*190), desk. Equipped kitchen corner: sink, hob (2 halogen lamps), microwave grill, fridge. Table and chairs. 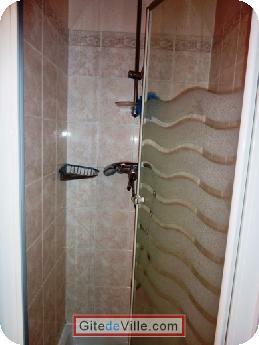 Bathroom: shower cubicle, washbowl, heated towel rail. Toilet. Equipments: washing machine, LCD TV, DVD reader, Internet (Optic fiber and Wi-Fi). On the 7th floor with lift to the 6th floor. 450 meters from Lyon Part Dieu train station. 450 meters from Tramway RhonExpress: shuttle every 15 minutes to SAINT EXUPERY airport. 450 meters from Tramway T3 (Part Dieu – Eurexpo – Meyzieu ZI) & T4 (Hopital Venissieux Feyzin – Villeurbanne La Doua). 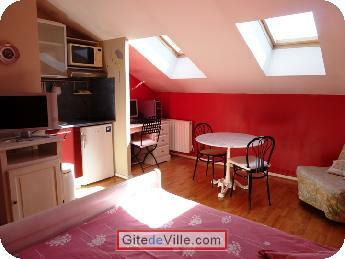 500 meters from Part Dieu subway station (line B: Gare Oullins – Stade Gerland - Charpennes). 500 meters from Tram T1 (Debourg - Confluence – Gare Perrache - La Doua - IUT Feyssine). 50 meters from Wednesday, Friday and Sunday mornings street market.